It’s always interesting to talk to aspiring young artists. This is why we decided to invite Neli Dimitrova, а Bulgarian student, musician and a music teacher, who told us a bit about living in London and working towards making your dream come true. Hi there Neli, please introduce yourself to our readers! Hi there! 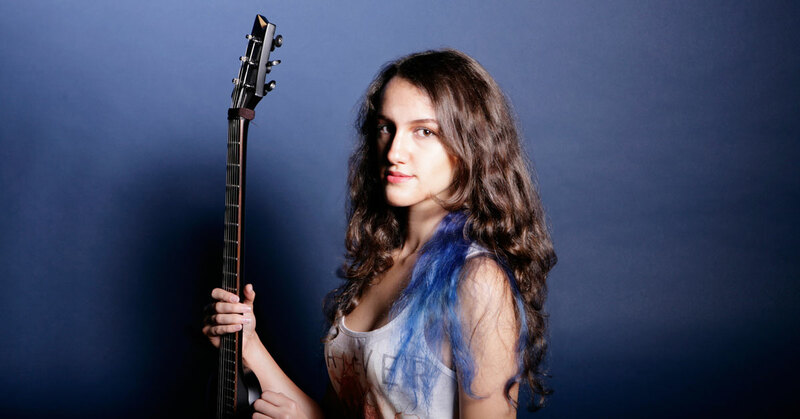 I’m Neli – a professional guitarist, tutor and artist manager. I’m also on my last year of studies at the Institute of Contemporary Music Performance in London. I have always been hooked on arts as a whole. I always saw it as another form of expressing oneself. It has always been fascinating to me how through one song/piece of music you can get transported to a completely different world in your head. What’s the best experience for you so far? My best musical experience is probably attending Roger Waters’ ‘The Wall’ tour. It was easily the best show as a whole I have ever attended – the music and musicianship… no words; and the visuals on top of that… it’s just a different world. As a performer my best experience was singing a song with my father and my boyfriend on guitar on my sister’s wedding. It was a fun song, everybody was dancing and jumping around… and in general – seeing the joy in the audience’s eyes is the biggest reward. What would you consider success in your career? Doing what I love doing and being able to live off of it – as simple as that. I don’t really need much to be happy. 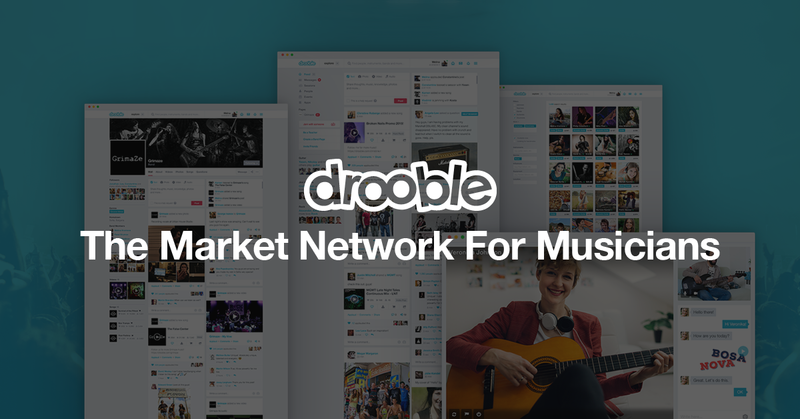 Drooble seems like a very interesting platform. It combines within itself so many others and I’m looking forward to seeing it develop as more and more musicians join. You’ve been living in London for years now – what’s your view on the music scene there? The music scene here is brilliant! It’s so versatile – whatever you play, whoever you are – there’s a stage out here for you. UK bands have always been leaders in music innovations – what’s the next big thing coming out of the underground? That’s a hard one… What I see at the moment aren’t new genres, but rather innovators within a genre. Take the band EIDER for example. They’re an up and coming band from London and don’t play in a new genre, their sound is familiar, but their songs? I can’t think of anybody right now who writes the same as they do. And if you go to their live shows, or even just chat to the guys – it’s a whole new experience. Name three things that you consider “going wrong” in the music industry nowadays. The music industry nowadays as a whole is the same it has always been. Artist writes songs, they or someone else performs it, the fans buy it. Famous are the commercialized ones, who appeal to the masses. What is wrong with it is nothing new. Instead I’m going to say what is “going right”. What this is (for me personally) is the interaction with the fans. Bands and artists are no longer those mythical creatures that you go admire at a show and you become amazed by when you find out how they started out small. They are there – on social media – approachable. You can chat to them, support them… and that has been revolutionary especially for the starting out bands. You can actually create a “relationship” with the artist before you’ve even gone to their gig! It’s great and I love those chats! How can one get his music heard when radios are playing mainstream artists mainly? Please share a few tips. Yeah, radios may play mainstream artists mainly, but anyway, people mostly listen to a radio when they’re in their car going somewhere. Radio isn’t as big a factor to an artist’s success anymore. I mentioned before the relationship with the fans. Not only are those chats enjoyable, but they’re also great connections! Nowadays people become famous because of the Internet, so have your music out there. 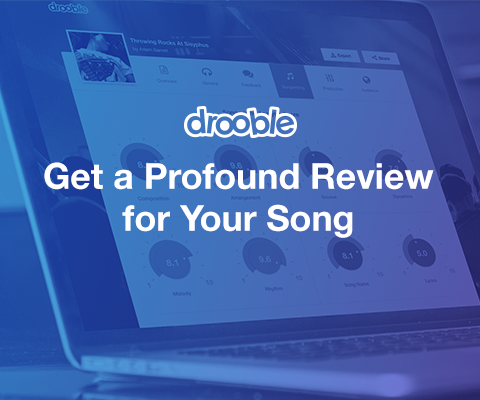 Record even basic demos of your music, share it on whatever social media you like and people will tell you if they like it or not, what they like about it… fellow musicians can tell you a vision of theirs related to your song and what ideas that demo gave them… In that sense, Drooble can prove to be a valuable media for artists – no matter if they’re playing for a hobby or if they’re professionals. What is crucial for a starting band to market itself online? As I said – it’s the relationship with the audience. Think about who you think will like your music, about bands whose audience might like you, go to such gigs and talk to people. Tag such bands in your social media posts, if you can, see who likes or follows them and chat to their fans, etc. Well first of all – I will be finishing my degree in May, so for the first time in my life since I was six, I will be out of education. I’m excited to expand on my teaching not only for my career, but also because I really enjoy that. I have also just started to manage the band EIDER which I mentioned earlier, so I’m looking forward to developing them and really looking forward to going around Europe with them for their late summer tour. To end with, I just want to say one thing: find a hobby you’re passionate about and make it your career. It might be loads of hard work and frankly quite stressful sometimes, but it’s so much fun! Totally worth it! Do you like it? Share your thoughts and comments below! Hi, Neli, how about your plans to return to Bulgaria and make music there ? Inspiring young talent! Keep it up !